After almost 50 years of clinical use, levodopa medication remains the gold standard for symptomatic care for Parkinson’s disease. This fact is shocking considering how much innovation has happened in nearly every other industry. We’ve even learned how to map the entire human genome! Yet Parkinson’s treatment has remained relatively unchanged. I’ve spoken before about how Parkinson’s care is failing the people that need it most and why I’m so driven to help find new, innovative solutions to improve Parkinson’s outcomes. Needless to say, I’m always stoked when I run across other healthcare practitioners who are making strides in the Parkinson’s community and why I’m thrilled to share this interview with you today! This was a question I was so pleased to pose to Dr. Bas Bloem, one of the world’s leading Movement Disorder Specialists. Dr. Bloem is not only an amazing clinical neurologist at the Parkinson Center Nijmegen where he serves as Medical Director, he is also an active Parkinson’s researcher at Radbound University where he is a Professor of Movement Disorders. He has over 700 publications to his name, including 510 peer-reviewed international papers and has won numerous healthcare innovation awards, as well as serves on many boards and committees internationally. While his skills and experiences stretch far and wide, he is especially innovative when it comes to establishing the best-of-the-best in Parkinson’s interdisciplinary care. Dr. Bloem and Dr. Munneke established the innovative idea of ParkinsonNET in 2005 at Radboud University Medical Centre in 2005. To deliver Parkinson’s disease care through an integrated network (that may be geographically dispersed across a country), that would provide a more convenient and integrated experience for patients. ParkinsonNET quickly scaled to more than sixty regional networks of 3,000 professionals in multiple disciplines who partner with patients. ParkinsonNET provides patients across the Netherlands with increased access to Parkinson's experts via the Internet and in person, making it easier for patients to get the expert care they need. If you’re reading this and you’re not currently living in the Netherlands, stay put! In 2014, ParkinsonNET paired up with Kaiser Permanente (a hospital system and medical group in California) and launched its program for Parkinson’s patients in California. With early results suggesting notable cost-savings for healthcare providers, the program is very likely going to be shaping the way we provide Parkinson’s care in the future. In our interview, we talk about how ParkinsonNET was created, the impact it’s having on Parkinson’s care, and what the future holds globally for the PD community. We also touch on the 2nd season of ParkinsonTV, a Parkinson’s TV show that he launched last year that covers all topics related to Parkinson’s, including exercise, nutrition, depression, anxiety, medication, and more. Check it out and let me know in the comments if you’d like to see ParkinsonNET in your area! 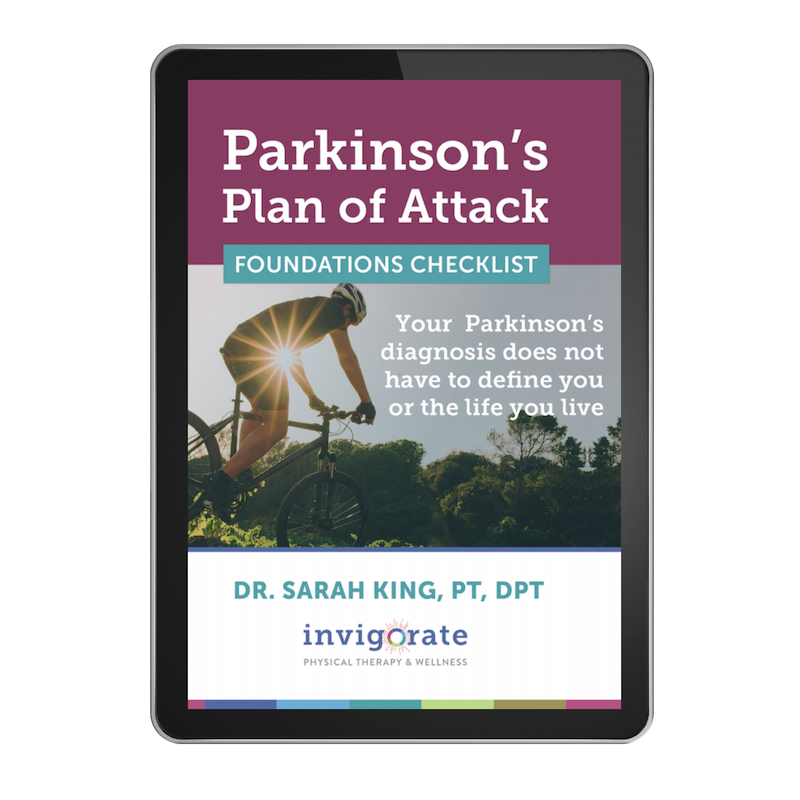 Do you have a Parkinson’s Plan of Attack? Are you committed to living your best life, and hungry to know more about what you can do TODAY to ensure your future is as healthy, vibrant, and active as possible, despite your Parkinson’s diagnosis? Rock Steady Boxing and Parkinson's - Is it enough?